You are here: Home / social media / The Perfect Assistant! When I started my studio I was not necessarily thinking of what it would take to run a successful business. I had found something I was passionate about and loved doing and wanted to be able to make it my career. My passion for Pilates and movement is still there, but 7 plus years later I have a much better understanding of what it means to run a business. Through lots of trial and error I have started to find the knowledge, the methods and the help I need to be able to do what I love on a full time basis (and not be crazy stressed out!!) …. maybe you can relate? 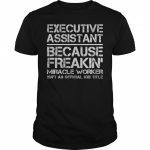 One of my secret tools in creating this success in my life is my executive assistant. She kind of does a little of everything for me and takes care of the stuff I don’t have time for and the stuff I’m not very good at. Are you jealous yet? Other than myself she knows more about my business than anyone else. I often tease her that I think she can read my mind as she will ask me about doing things that I had thought about doing but just didn’t have the time to do. She always listens to my ideas and adds her input about how we could make things work for my business. She takes cares of my social media presence and along the way has taught me how to use social media as a tool in my business. I actually enjoy using social media now and I can tell you that was not always the case. She’s helped me create a system for blogging that allows me to do the part I enjoy ( writing) while she takes care of everything else (editing, scheduling, marketing,etc.). I used to try for 2 blogs per month. Now we publish 3 blogs per week! 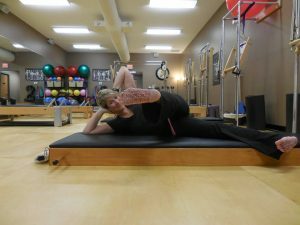 She consistently uses social media to bring ideal clients into our studio (the really great customers that fall in love with Pilates, appreciate our services, and tell their friends about us!!). If you are starting to think how lucky I am to find someone who is so good at all these things and such a great fit for my business- you are right!!! 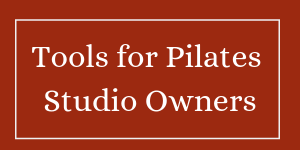 Maybe you were wishing you could find a studio assistant that would help you grow your business so you could do more of the things you love like teaching Pilates, seeing your family, enjoying the fun stuff in life!! If you are considering hiring a studio assistant it’s your lucky day. Becky is offering 3 lucky studio owners the chance to interview her for your studio assistant position. The position will be a 3 month position with the chance to extend her contract after 3 months if you find she’s a good fit for you. You have absolutely nothing to lose by interviewing Becky and even if you decide not to hire her she’ll give you 2 weeks of social media posts! Make an appointment today! Previous Post: « Designated Extrovert? I have worked with Becky for over 20 years, and she is great! You will not regret talking to her about your business. She has great ideas and the know-how to execute them.